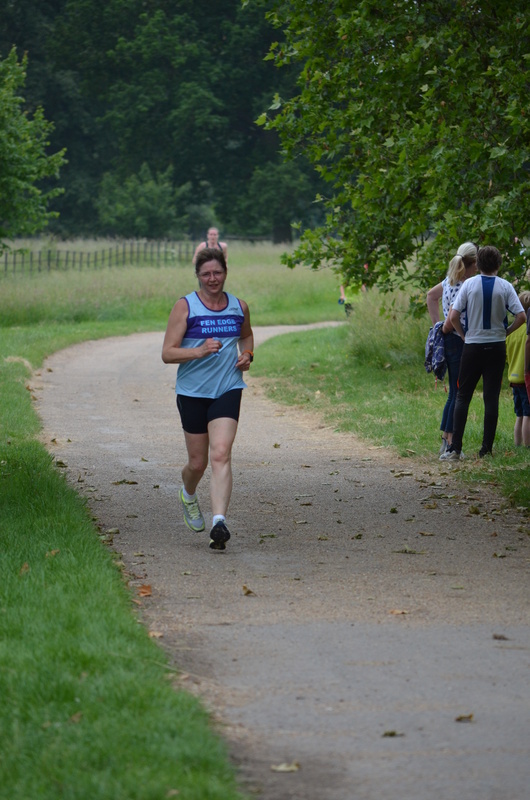 Ms Alive and Running (right) with her Fen Edge Runners Club pals (and mine) at Wimpole Estate parkrun today. 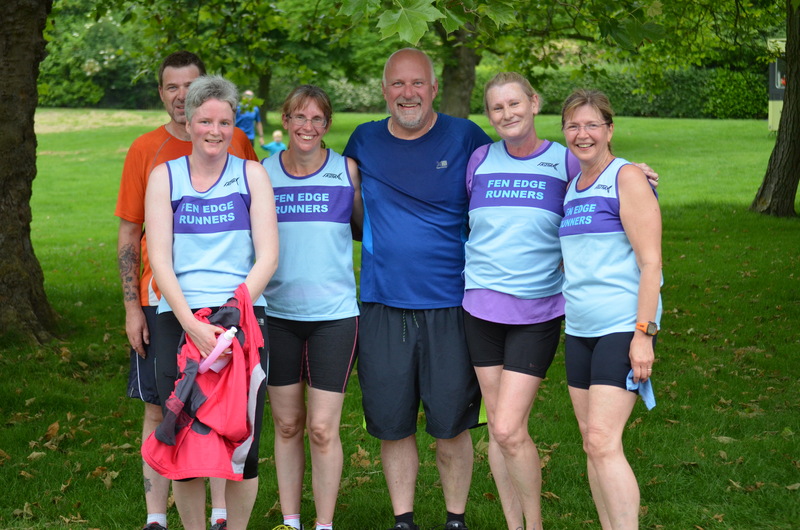 Fen Edge Runners take their running seriously but are very friendly and informal. They allow me into their inner circle despite my belonging to a rival club. The undulating course and a particularly vicious hill meant that I run it almost 2 minutes slower than the flat and winding Cambridge parkrun. We had rain on the way to Wimpole which was dry on arrival but started after the finish so I didn’t get any photos of their second hand, pre-owned, formerly cherished but now callously discarded book shop. I did venture in, however. After establishing they couldn’t provide a second hand e-book download of my chosen titles, I was forced to buy the hard copies. I resisted explaining that I’m buying these books for a friend and not for myself. The George Orwell essays include the Art of Donald McGill, the saucy seaside postcard artist in which he explores the prevailing humour and assumptions underpinning it. This Penguin copy is old and looks like someone has urinated on it ( one of worst book crimes imaginable, second only to setting it alight). It possesses that lovely old paperback aroma (not faintly like urine) which e-books strangely lack. In the afternoon, I went to the May Bumps which are a series of rowing races along the Cam. Very enjoyable and interesting. Took loads of pics. Very white, very upper middle class, very traditional. They set up road blocks along the tow path and you were only allowed admission to that section of the path if you could converse in Latin or Ancient Greek, attended a Cambridge college or had an air of smug insouciance. Am I being unfair? Yes!